Saints head coach Sean Payton and ​Mike McCarthy were two of the longest tenured coaches in the ​NFL. Both hired in the 2006 season, only Bill Belichick and Marvin Lewis have been with their teams longer than both of those Super Bowl winning coaches. 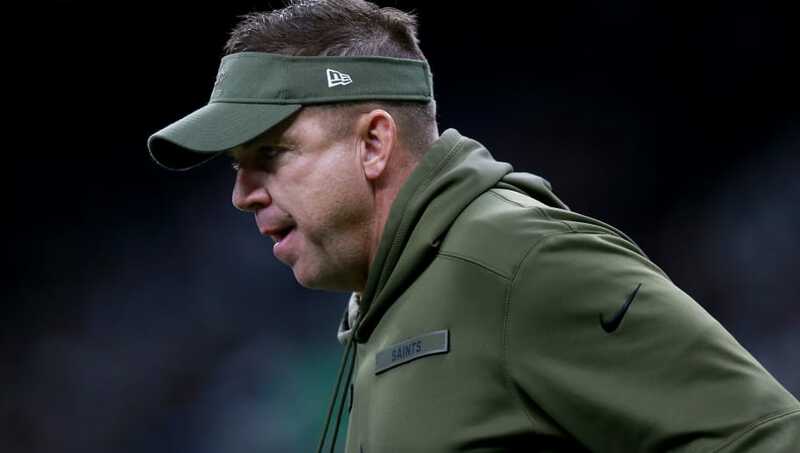 After McCarthy was handed a pink slip following a dismal 4-7-1 record despite having ​Aaron Rodgers under center, Payton was noticeably short and peeved when asked about another fellow member of the head coaching fraternity. Payton's viewpoint is by no means extreme or isolated. McCarthy made the playoffs nine times and won the NFC North six times in ​Green Bay. McCarthy's Super Bowl win and 10-8 playoff record attest to his quality. However, McCarthy's fractured relationship with Aaron Rodgers and his tendency to run a simplistic, basic offense despite having the best quarterback in the league signaled that it was time to go. His relationship with Rodgers degraded to the point where the star QB would regularly go rogue and call most of his own plays. ​​McCarthy's resume should get him another job, but it's hard to argue with his firing in this context. Payton has the right to be upset about a Super Bowl winner and contemporary getting axed, but the timing seems sensible.